The Game of Graphic Design: making design comprehensive, fun, and accessible. All great design begins with one thing: a great idea. This idea is the root of every well produced, beautiful, or savvy execution.Whether it’s the representation of a brand by understanding the audience, the consideration of a books content when creating a cover design, or the basis of a political campaign that goes on to influence millions. As designers we have the ability to influence a world that is more aware of and impacted by design than it realizes. Communicate the premise of graphic design and make it accessible to everyone,especially non-creatives. Create a product that helps us form a community, collaborate, and invent, exactly what I believe design intends to do. Create the game of graphic design. A game that allows everyone, not just designers or creatives, but your younger brother, your grandma who can’t click a computer mouse or your best friend who’s an economics major, to better understand and engage in the creative process. 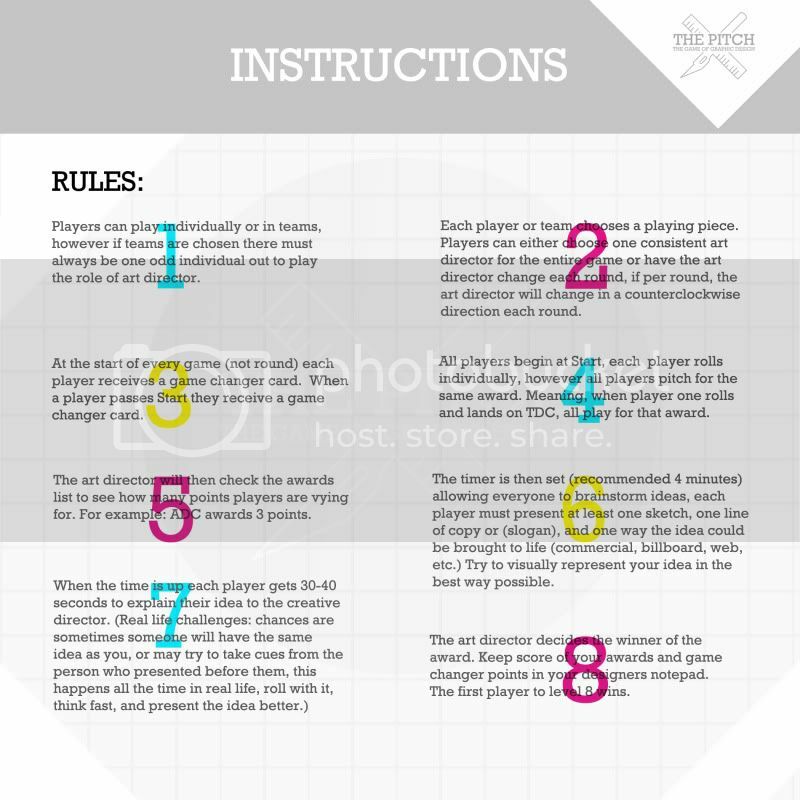 Want the in depth rules? All funding will go towards production. The one off I created was a pricey endeavor, hopefully by producing larger quantities I can lower my production cost and get the game out to everyone who wants one at a fair price. Feedback about the details you'd like to see on the game are encouraged in the comments section. i.e. : If you couldn't do without laser engraving at the bottom of the board, or which icon game pieces you like the most. t-shirt, poster, notepad, and a Skype call with me to talk some shop! A copy of the original game, thank you for the support, no need to pay twice. Pledge the $90 and you will receive of copy once in production. Receive two copies of the original game, one for you and a friend! T-shirt, custom game piece, poster, work with me to create specially designed packaging for your game, and a thank you letter. Special Edition game- Work with me to customize the board to your liking. 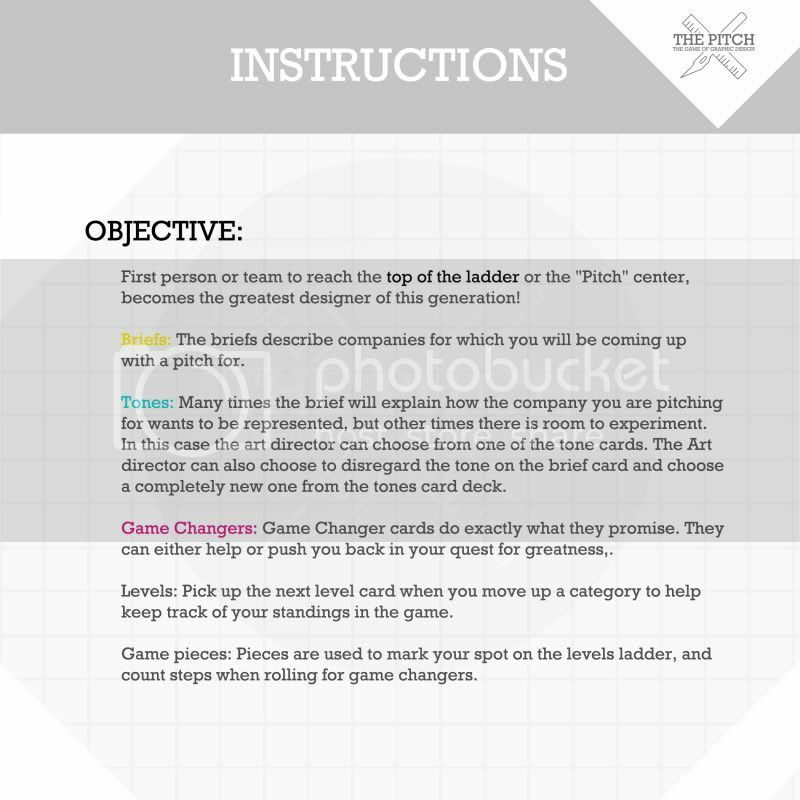 Includes custom game pieces, 2 lines of engraved, or one image, you can create 5 of your own game changer cards, and write the copy for 5 company briefs. Includes a thank you letter. Work with me to customize any aspect of the game and create your own edition, you also receive one original version of the game, 2 t-shirts, and a thank you letter.